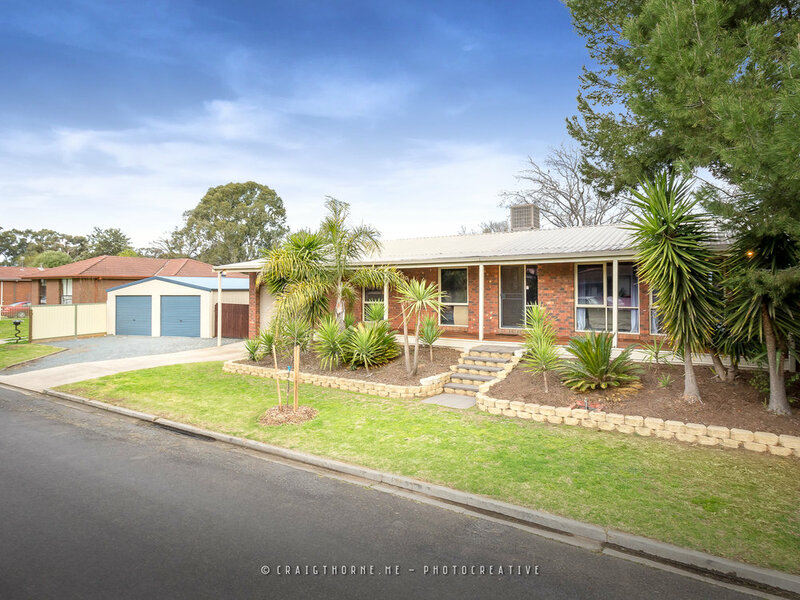 EVERYTHING A FIRST HOME BUYER WANTS AND MORE!! 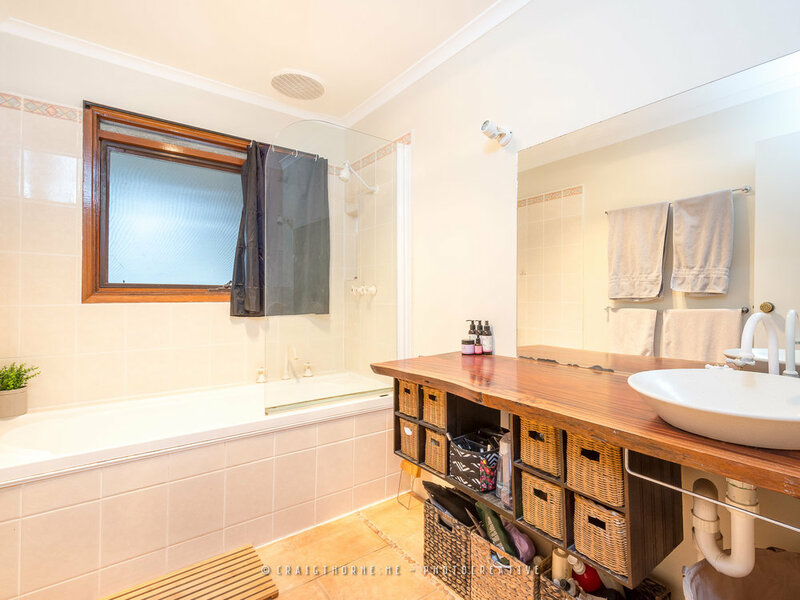 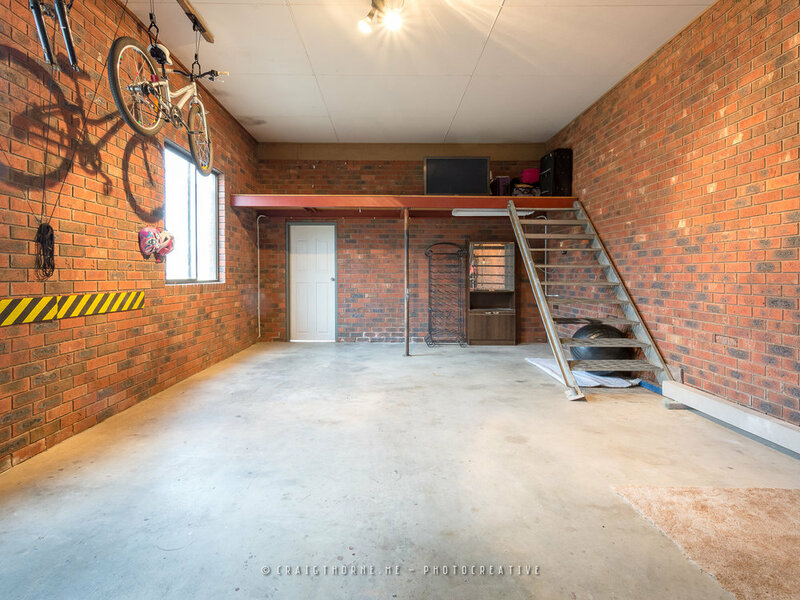 The positioning of the property on the block allows for easy access into the garage, shedding and rear yard, whilst there is a spacious outdoor area and backyard, which are ideal for entertaining or watching the kids play. 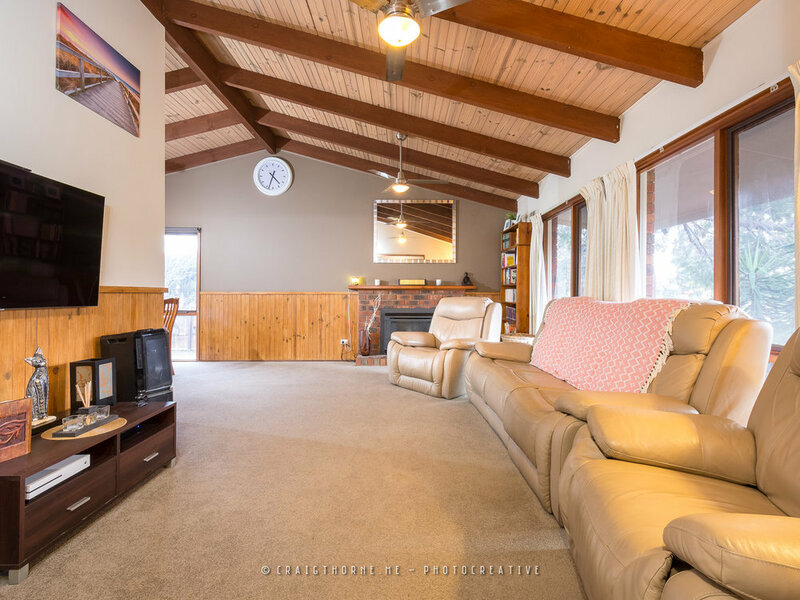 The main living room features a brilliant cathedral ceiling with exposed timber beams and instantly creates a pleasant feeling of space, and combined with the gas fire place, will soon become your favourite room within the home. 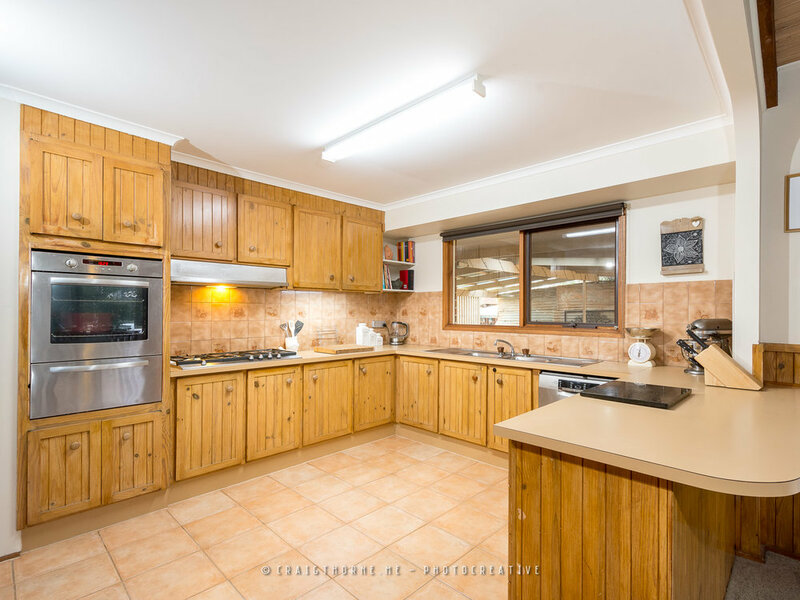 The spacious timber styled kitchen features a large stainless steel gas cook top/oven and dishwasher, plus the pantry and numerous cupboards are brilliant for storage. 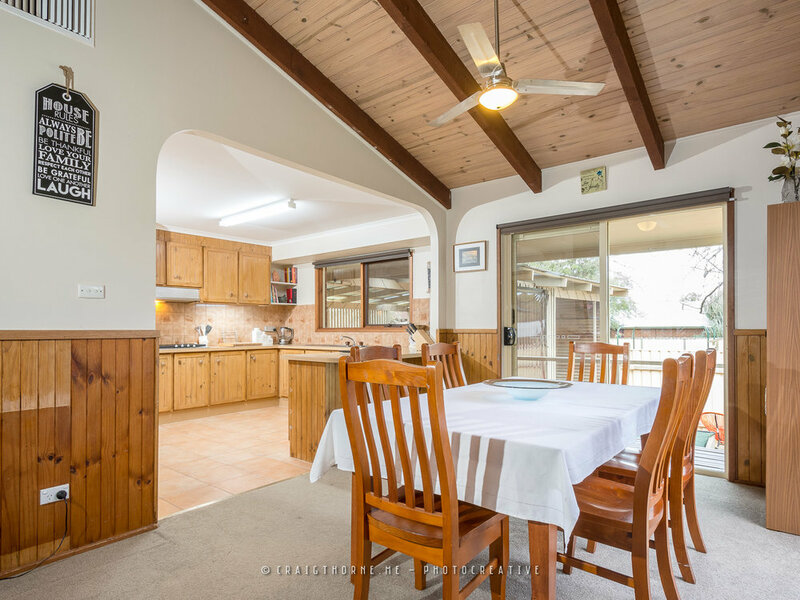 The kitchen merges in well with the dining area, and overall this space has great views into the back yard and entertaining area. 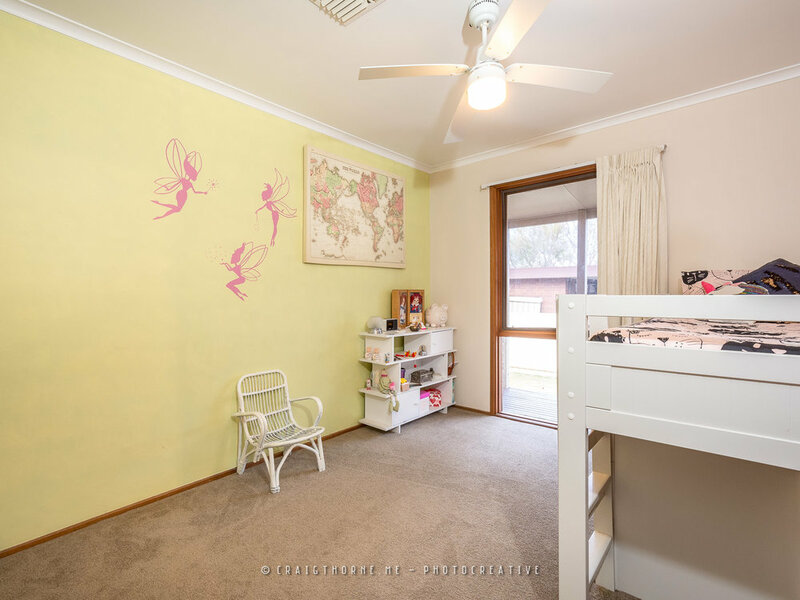 All bedrooms are fully carpeted, and include BIRs and ceiling fans, whilst the bathroom is stylish and includes shower over bath, and an external toilet is available. 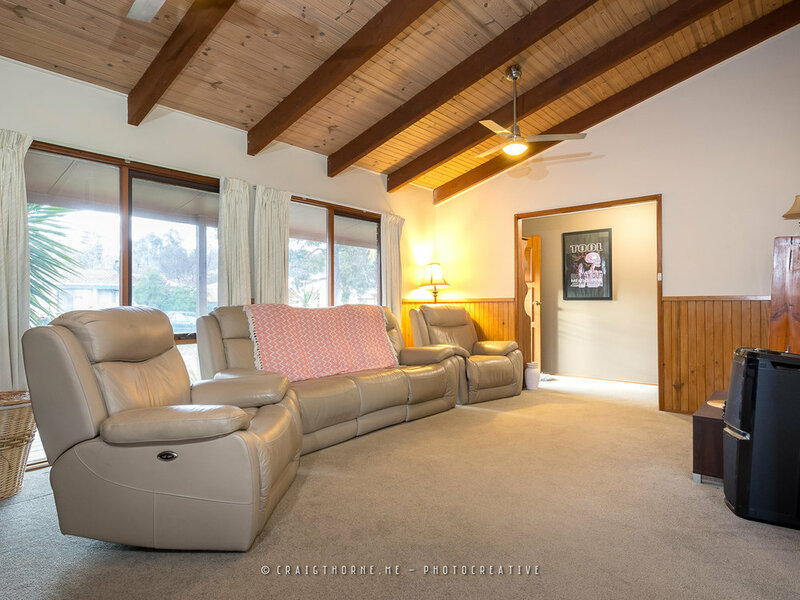 The home is kept comfortable with evaporative cooling operating throughout, and combined with the gas fire place, they keep the home at the right temperature all year round. 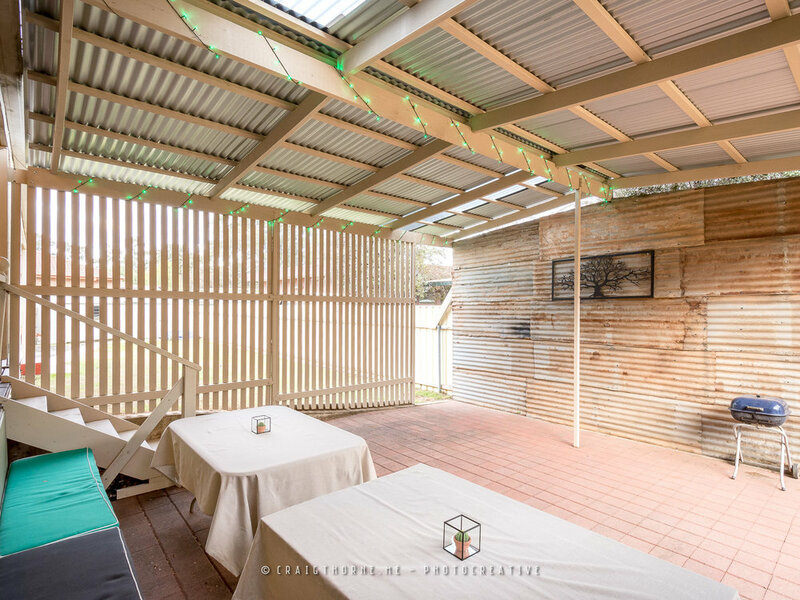 Outside is where the fun starts, and the large 10m x 7m shed with double roller doors and power are ideal for vehicles, storage or to use as a workshop, plus the 6m x 3m garden shed, and the spacious carport with auto roller door, high clearance and mezzanine flooring providing numerous all round options. 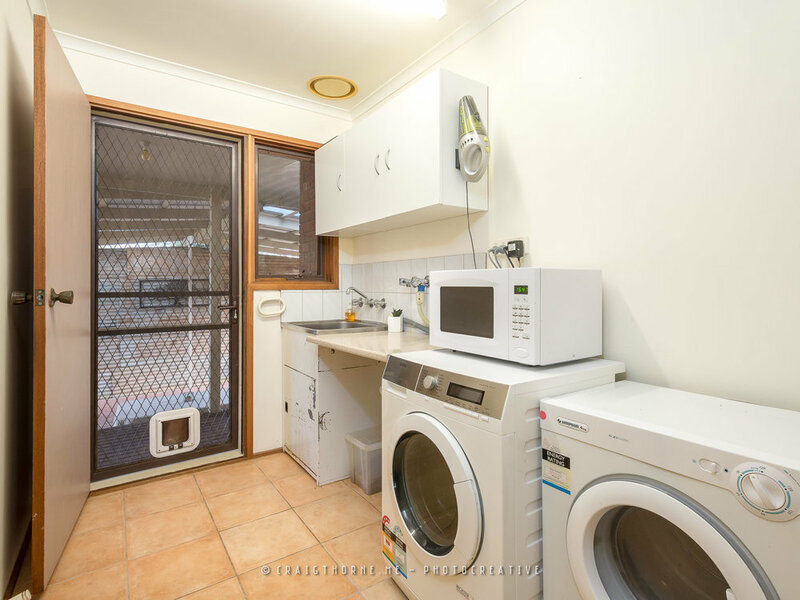 Rear yard access is also available, and space is provided to store a caravan or trailer if required. 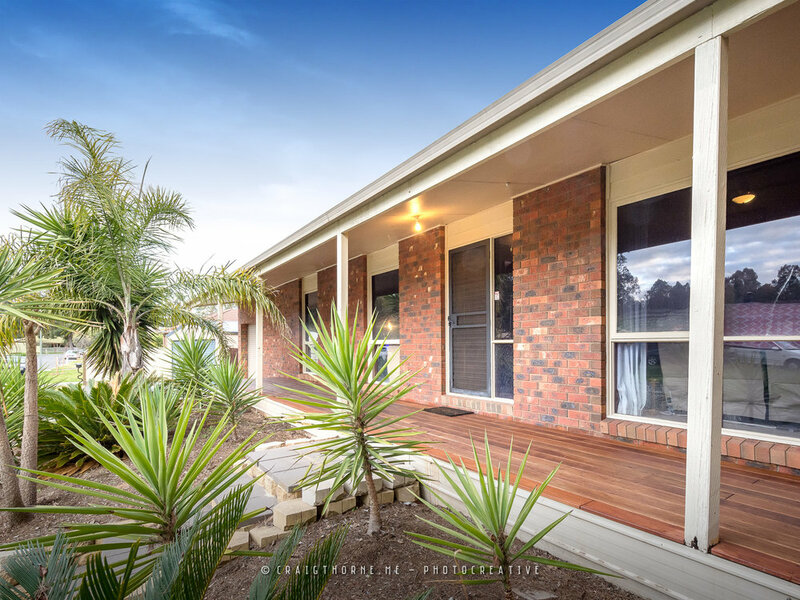 The veranda that runs along the front and rear of the home features a lovely timber deck, allowing you to walk outside without being exposed to bad weather, and it also connects well with the large entertaining area, providing a large undercover area overall.